Oh wow, POP Montréal was three weeks ago! Alas, I never got around to blogging about it until now. 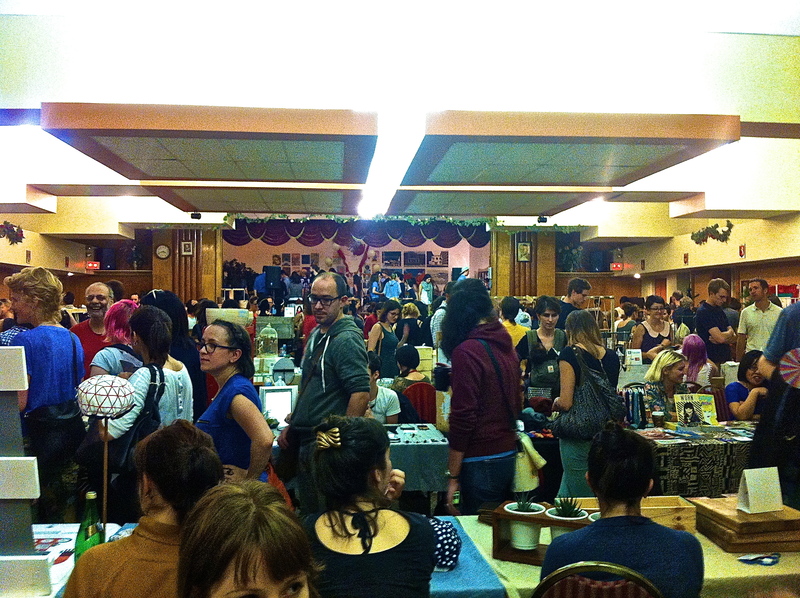 But I had such a great time wandering around the Mile End and partaking in various events of the indie music festival, including the very much loved arts and crafts fair, Puces POP. Hence, this is worth mentioning now though we’re already midway through October. 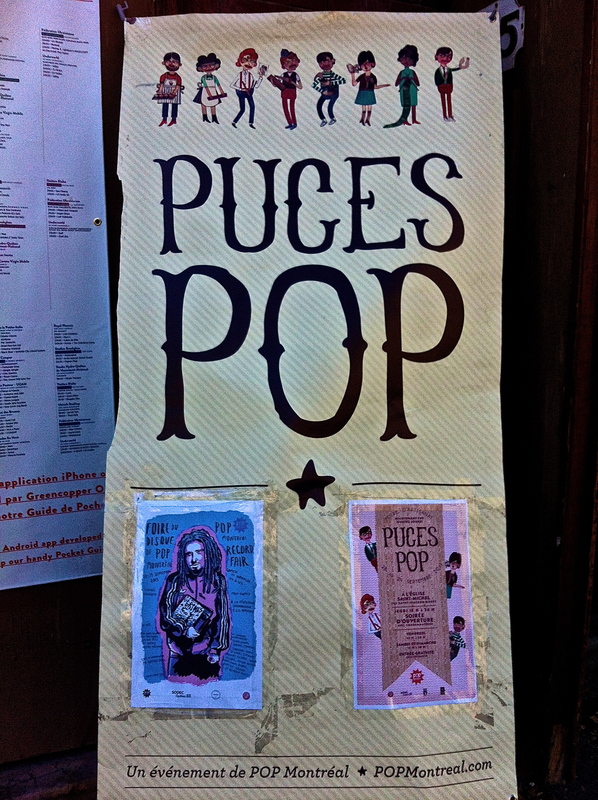 It was actually my first time dropping in at Puces POP which, as part of the POP Montréal festival was held in the basement of Église St-Michel, the looming landmark in the Mile End neighbourhood. A few years back I had attended the performance by the Montréal art bands The Luyas and Yamantaka // Sonic Titan, but every September I am so swamped with fall time busyness that POP Montréal comes and goes without a blip. Until this year. I had a good friend visiting me from Toronto and because she is always in the city for work, I figured it would be fun to show her around other parts of the island and indulge in some artsy-fartsy-ness, a throwback from our old days in art school. My talents in art never lay with sculpture. I am not very good at creating anything in the three dimension, and I have been much more drawn to the use of vivid colours and curved lines on traditional surfaces as canvas or paper. 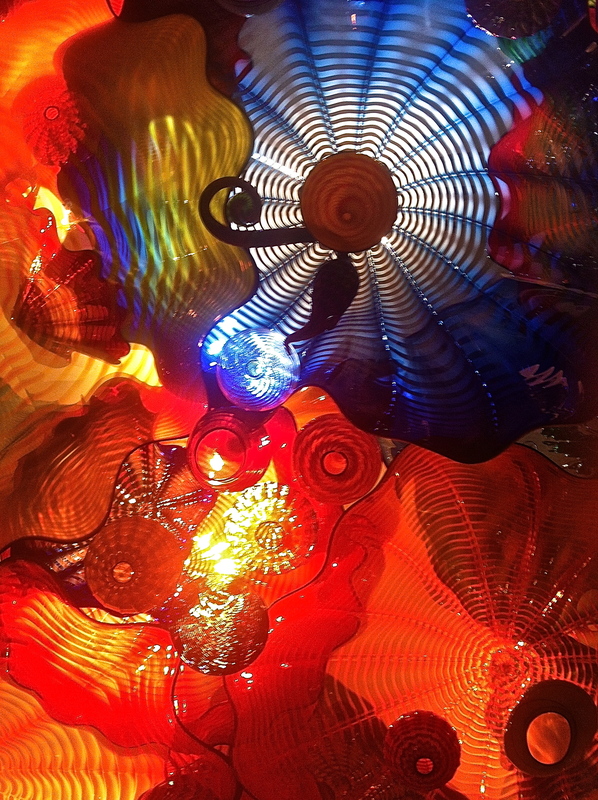 So the works of Dale Chihuly — he who looks like your favourite pirate neighbour — intrigue me. His medium is sculpture and his talent is beyond being just a master glass blower, producing creations far from the kinds of art works I am usually drawn to. 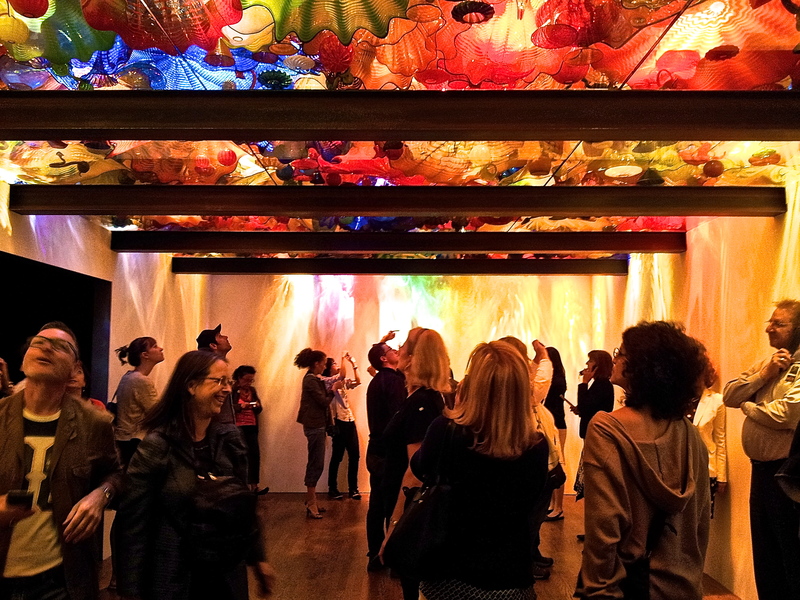 But Chihuly’s brightly hued shapes and installations are so unique they are compelling to just about every viewer: myself, other art lovers and the general public. Montréal brought us various temperatures and weather activity this weekend, but it did not deter us from going out and about in the city. On Saturday, we walked around the Old Port, which I usually avoid doing during the summer weekends since the beautiful neighbourhood can be awkwardly packed with visitors during the tourist season. 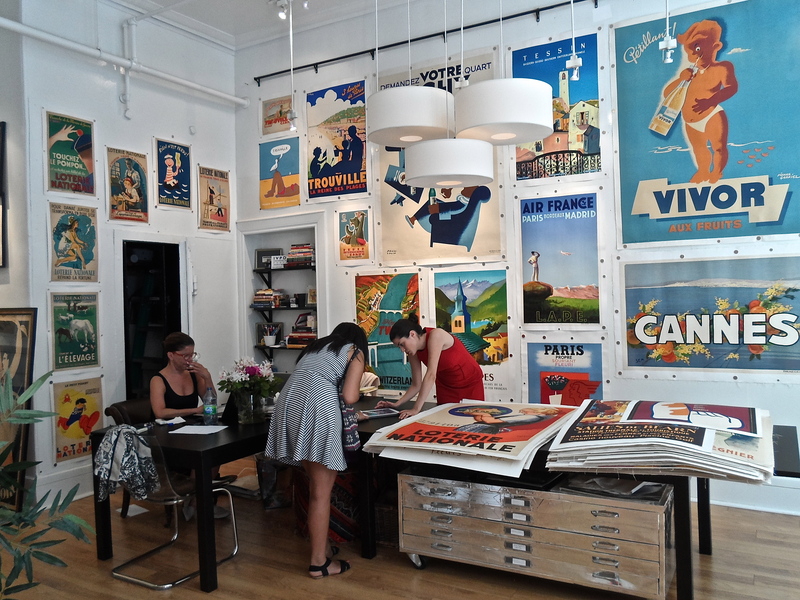 However, our goal was to drop by L’Affichiste, a vintage poster gallery with collections mostly derived from European and North American sources. Though I had not heard of this gallery until recently, a friend of mine was looking for a particular type of print poster that would complement one that she bought in Paris during the spring. Her research brought us to L’Affichiste whose walls are decorated with beautiful and bright illustrations, many from France. 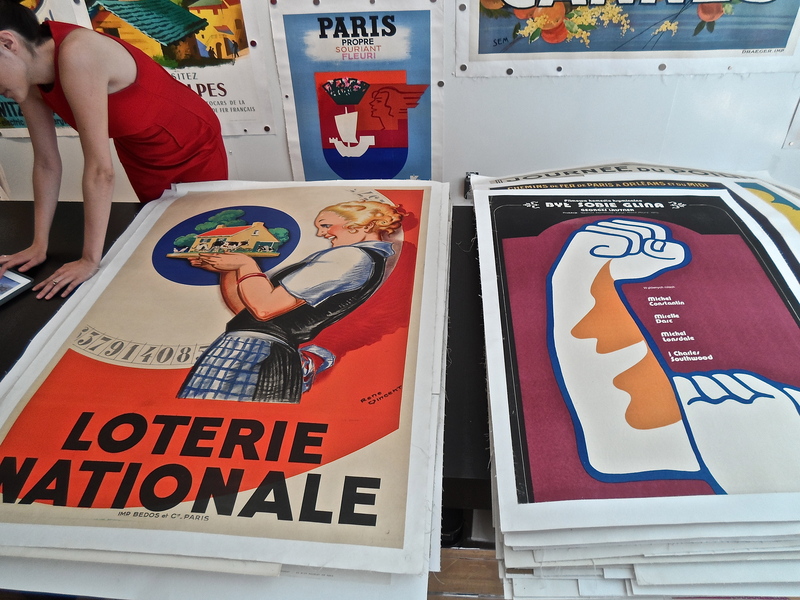 We were focused on the posters from the Loterie Nationale that were commissioned from the French National Lottery established in 1933. 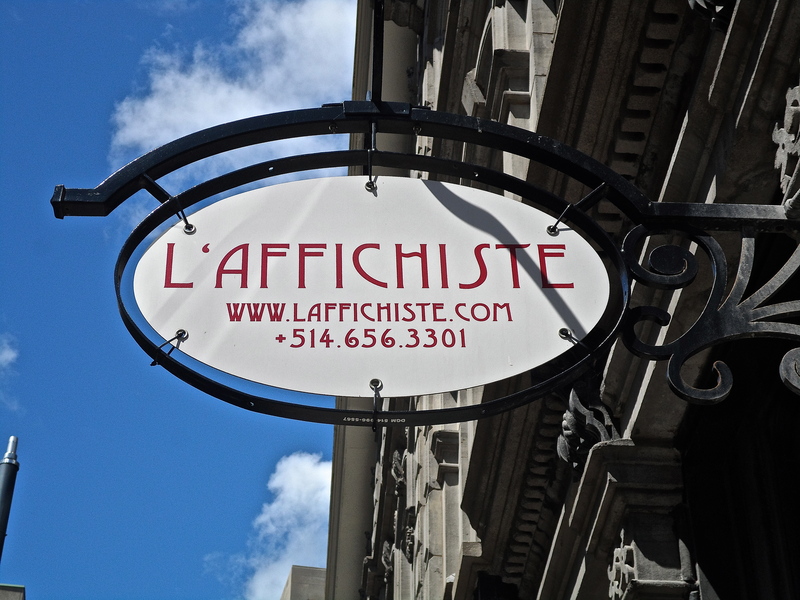 These posters held by L’Affichiste are sized around 16 x 24 to 32 x 47 inches, and priced around $240 to $1,675 CDN. Many of these art works are illustrated according to the Art Deco style of the period. During my trip to the Art Gallery of Ontario (AGO) in Toronto, I visited the exhibition Evan Penny: Re Figured, which began in September 2012. The exhibition can be viewed as part of General Admissions and is located on the fourth floor of the newly renovated AGO. Evan Penny is a Canadian artist who specializes in creating lifelike portrait and figure sculptures. These sculptures are often stretched and distorted as per his Stretch/Anamorphs series (2003 to 2008) or experiments with the red, green, blue colour model seen in the No One – In Particular series (2004 to 2007). Penny also experiments with self-portraiture, and his anamorphic Self (2008) sculpture is imposing and hyper-realistic. The Art Gallery of Ontario (AGO) completed a four year renovation project in 2008. I was still living in Toronto when the Franky Gehry-designed redevelopment plan was completed but I did not have the chance to visit the gallery until now. I definitely missed a lot since the AGO reopened its doors four years ago. The AGO is located in the Grange Park neighbourhood, between the financial district and Chinatown in downtown Toronto. Gehry designed the most recent expansion and the renowned Canadian architect lived in the neighbourhood as a child. As one of the largest art galleries in North America, it holds the largest collection of Canadian art works which includes the Group of Seven, David Milne, the Native Canadian artist Norval Morrisseau, and Cornelius Krieghoff, as part of their permanent collection.